Why: We can’t show you the backside, but let’s just say it’s pretty racy, making it perfect for the bedroom! Why: Why is it you never have a business card when you need it most, probably because you don’t have a designer card case from Helena + Troy to put them in. Why: Make a delicious pasta meal without making a mess in the kitchen. 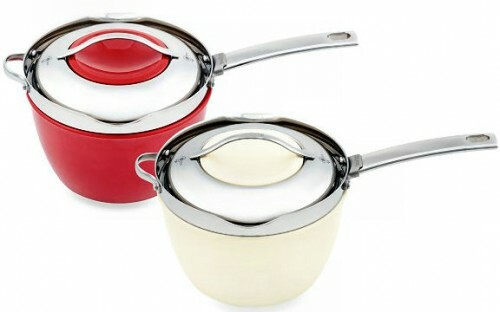 Twiztt by Joan Lunden allows you to cook, strain, and serve all in one pot. Why: Simplify your beauty routine with the M3K Beauty gift basket, which includes Anti-Aging Formula, Anti-Aging Hand Cream, Bare Faced and Fabulous Face Wash, and also the Dirty Boy Face Wash for him. 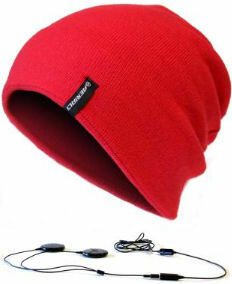 Why: This stylish beanie will keep you warm and inspired to run the distance with built-in headphones that connect to your iPod, iPhone or other mobile devices so you can listen to your favorite tunes. Why: Start the evening off right with a glass of Kathryn Hall Cabernet Sauvignon. Why: Have him draw you a bubble bath and turn your bathroom into a sanctuary with a scented candle. Why: Give your car a feminine touch with these ladylike ornaments. Why: Give your man something to drool over with a boudoir photograph by Jenny Taylor.